NIU Law alumnus Vincent Cornelius (’89) will be installed as president of the 32,000- member Illinois State Bar Association on Friday, June 17. Cornelius will make history as he takes the helm of the ISBA, the state’s largest bar organization, and becomes the first African-American president in its 140-year history. Cornelius, the principal of the Law Offices of Vincent F. Cornelius – with offices in Wheaton and Joliet – concentrates his practice in civil and criminal litigation. He has been a member of the ISBA for his entire legal career and was first elected to the ISBA Board of Governors in 1999 as a downstate Under Age 37 member. He served as the chancellor of the ISBA’s Academy of Illinois Lawyers and as the president of the Illinois Bar Foundation from 2008-10. A major focus of Cornelius’ year as president will be the future of young lawyers. Cornelius has ambitions for a collaboration with Illinois law schools and law school deans, the Illinois Supreme Court, the American Bar Association, and others to prepare young lawyers for the profession. As a small-firm attorney, Cornelius understands the concerns of his peers, including solo practitioners, and he plans to address their issues as well. In addition, Cornelius will focus on offering assistance for small-firm members through enhanced Law Practice Management Resources – as well as highlighting diversity and inclusion in the profession, and the issue of implicit bias. As an alumnus, Cornelius maintains a close relationship with NIU Law. Most recently, he delivered the commencement address during the NIU Law Commencement Exercises in May. He currently serves a member of the NIU Law Board of Visitors and served on the NIU Law Alumni Council for many years. He further contributes as a mentor to law students and young alumni and as a frequent speaker on alumni panels. His most visible contribution to the NIU Law is the hosting of the school’s Minority Reception, which he began in 2004. Since then, the event has become an annual tradition and important networking opportunity, bringing together scores of NIU Law alumni, faculty and law students. 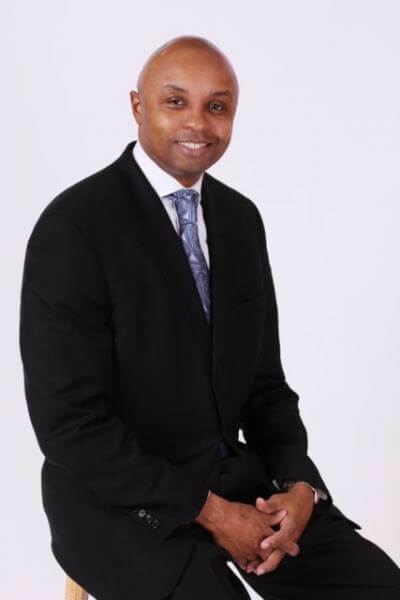 Cornelius began his legal career as an assistant state’s attorney in DuPage County before joining the law firm of James D. Montgomery and Associates in Chicago. He opened his own firm in Wheaton by age 30 – a long-term goal. He later opened a second office in his hometown of Joliet. He served as assistant treasurer and as chair of several committees of the DuPage County Bar Association and is a founding member of The Black Bar Association of Will County. Cornelius received his law degree in 1989 from NIU Law and his B.B.A in 1986 from the University of St. Francis in Joliet, where he was an Academic All American.